Half day of varied Cakes and Baking -covers cake making, pastry, patisserie, Biscuits, and enriched Bread dough cooking.Some Icing techniques. Glass of Prosecco on arrival - plus a savoury, and finishes with full tea- and everything made on the day to take home. 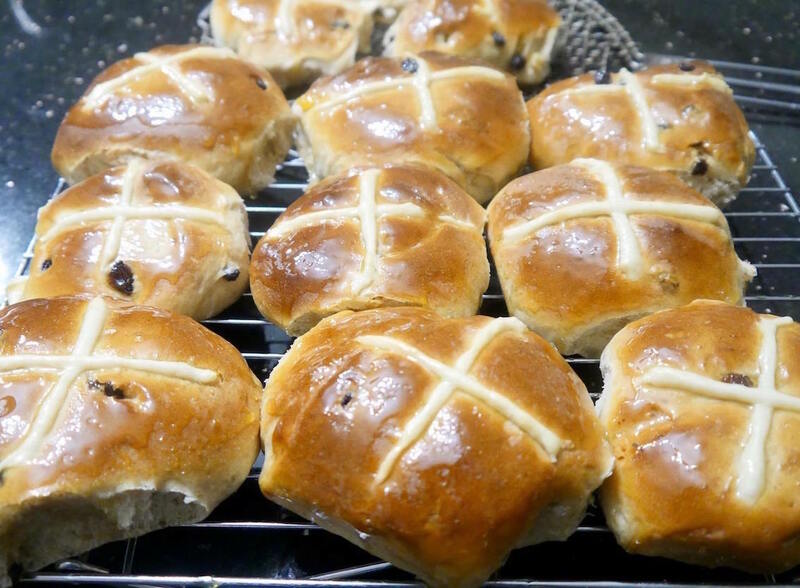 Hot cross buns from scratch ! !